This interview originally appeared on SVG. To read the original, click here. Comrex hit the NAB 2017 exhibit floor ready to tap into one of the hottest technology trends: IP. But making use of IP technology is nothing new for the company, whose Access line of IP audio codecs was introduced in 2005. Senior Director, Sales and Marketing, Chris Crump shared some of his thoughts on what’s hot in the marketplace and at Comrex with SVG. Comrex LiveShot at the Boston Marathon. 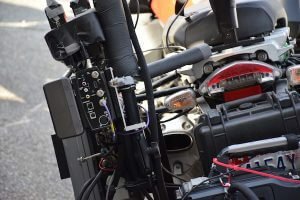 Comrex has a bunch of products that could be of use for the sports-broadcasting professional. What products are the hottest ones in your lineup? Comrex has been delivering high-quality broadcast content from remote locations for nearly six decades. At NAB this year, we introduced two products: Access NX portable IP audio codec and Opal IP audio gateway. Our Access line of IP audio codecs was introduced in 2005 and is used by major sports broadcasters throughout the world for delivering live game audio for terrestrial radio and online streaming. Access NX is the latest addition to the line. Our other NAB intro, Opal, was created to get remote guest audio on the air without requiring any special hardware other than a smartphone or computer yet still allow them to sound like they are in the studio. Sports-radio talk shows will be a major beneficiary of Opal, and the response from the industry has been overwhelming. We also produce a line of telephone-interface products, such as our STAC VIP VoIP Telephone Talk Show System, which is used by radio and television broadcasters around the globe. 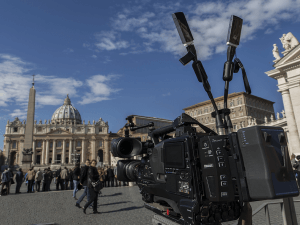 Our LiveShot IP video codec continues to find a home in a growing number of regional sports networks as well as professional and college sports venues. LiveShot seems like a great fit for sports teams, especially when it comes to things like in-venue videoboard shows. What do you see as some of the strengths of that unit? We do have sports stadiums using LiveShot for Jumbotron feeds, which, given the very low delay, is a great application. But LiveShot does a lot more, especially since it has return video. 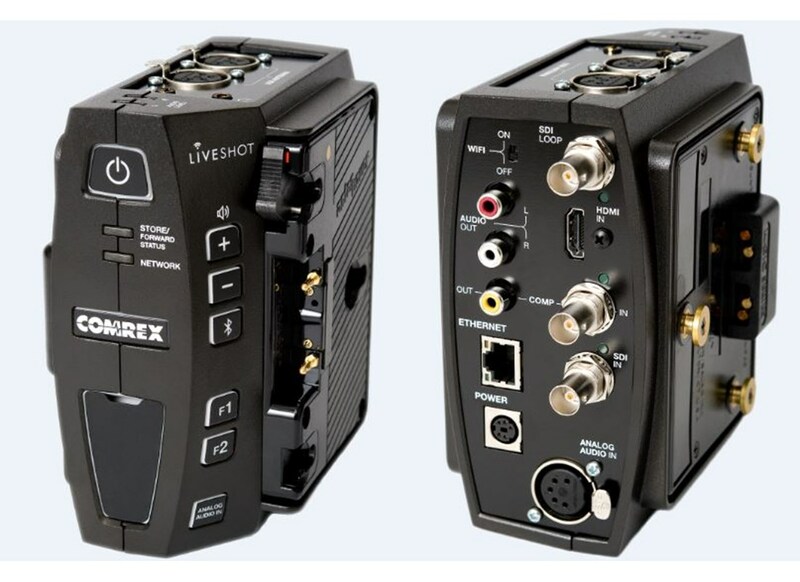 So not only can you send live video back to the studio or control room, but you can get return video (which could be program video, prompter, game scores, etc. ), two IFBs, and director/camera PL as well. Using it in a production truck, many of our customers love the fact that they can get their on-air or multiviewer feed from the control room to put up on their monitors in the truck. We also have a professional football team that uses LiveShot for pre- and post-game shows and sends one feed to the flagship affiliate and one to their regional sports network simultaneously. Community broadcasters and colleges especially have embraced this technology and are finding lots of creative ways to provide live sporting events to viewers using LiveShot. In general, it looks like the IP revolution plays a big part in your lineup. What are your expectations for growth as the industry continues to embrace IP-based workflows? As a company, Comrex has always strived to leverage widely deployed and readily available data infrastructures to [provide] broadcasters the ability to transmit live events from virtually anywhere on the planet. The public Internet certainly meets the criteria of “widely deployed,” but making it broadcast-reliable has been an ongoing challenge that has required a lot of innovation as well as time and treasure. We are broadcasters so we understand the challenges in the face of so much competition for viewers and listeners. Our goal is to provide the best tools to help our fellow broadcasters do their jobs better, more economically, and in more-creative ways using IP technologies — at least until someone figures out subspace communication. Your team is also in the midst of a world tour. What have been some of the highlights and the reaction? The idea of the World Tour grew out of the reality that fewer and fewer companies are sending their employees to the NAB Show in Las Vegas. With some key technology developments this year, we felt it was important to take these products to our customers. We’ve been seeing lots of old friends and many new ones that are happy to get a chance to see our new gear, discuss upcoming projects, plus get some good food and cool swag. We really enjoyed our visit to the Washington Nationals Park in Washington, DC, and it was a great opportunity for folks to come hang out at the ballpark. We’ve got lots more cities to visit and hopefully a lot more highlights to come.